Being stuck at home with your leg in plaster is not totally without its compensations: I have never been so up on the news in my life! Vive l’internet! So, I’ve been catching up on multiple computer tasks plus reading all sorts of papers including my favourite, the Guardian. And so it was that I have discovered the cooking bit: it’s brilliant! You can easily spend a happy hour or two scrolling through all sorts of great recipes and watching little videos of various cooking techniques! It’s addictive, I warn you! This amazing cake recipe is from Ottolenghi. The flavour is marvellous: complex as you would expect with the combination of 2 types of nuts and the other ingredients, but basically a cake with panache! Ottolenghi always goes in for unusual ingredients, sometimes just a bit too esoteric for my liking. First I scanned the list and sure enough what did I spy but walnut oil. Ooof I thought and then well, I’ll just have to use some other oil. Sometimes there’s nothing for it but a bit of judicious substitution. How’s it look? 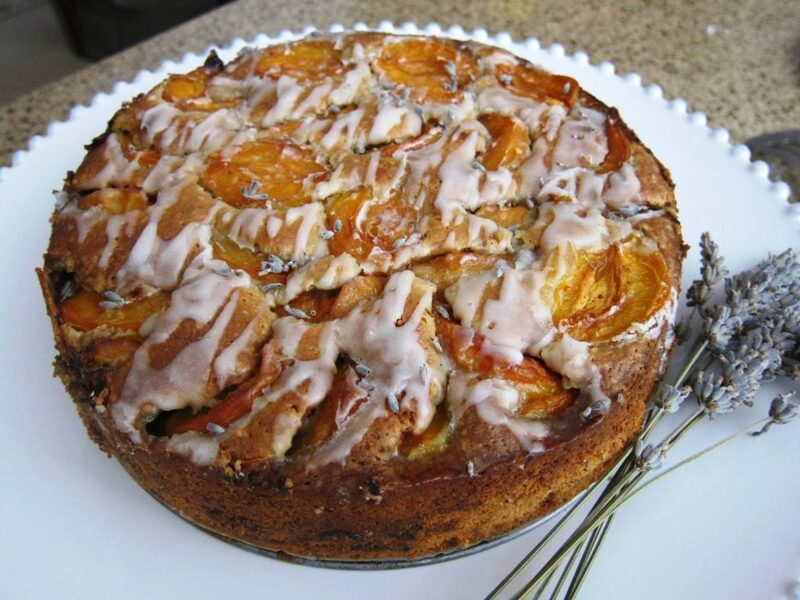 – apricot, walnut and lavender cake – I love it! 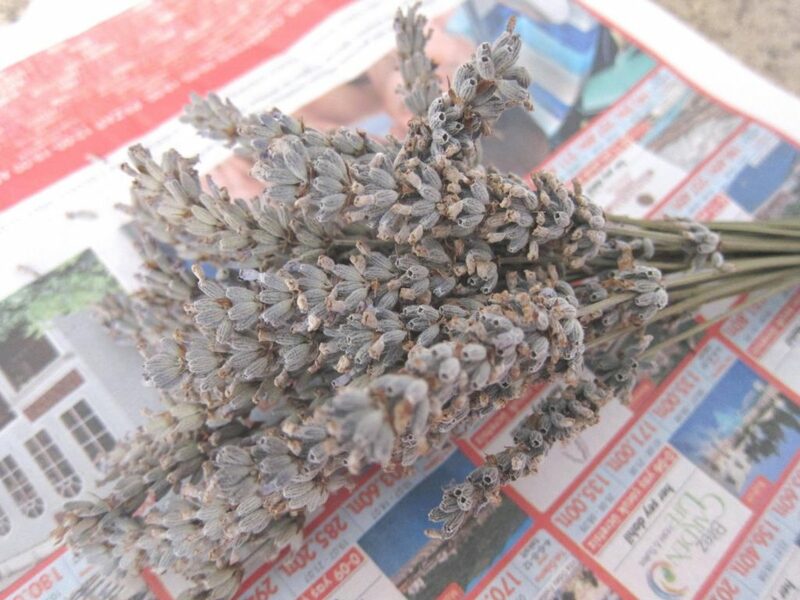 And then there was the small matter of the lavender: fresh or dry said the recipe. 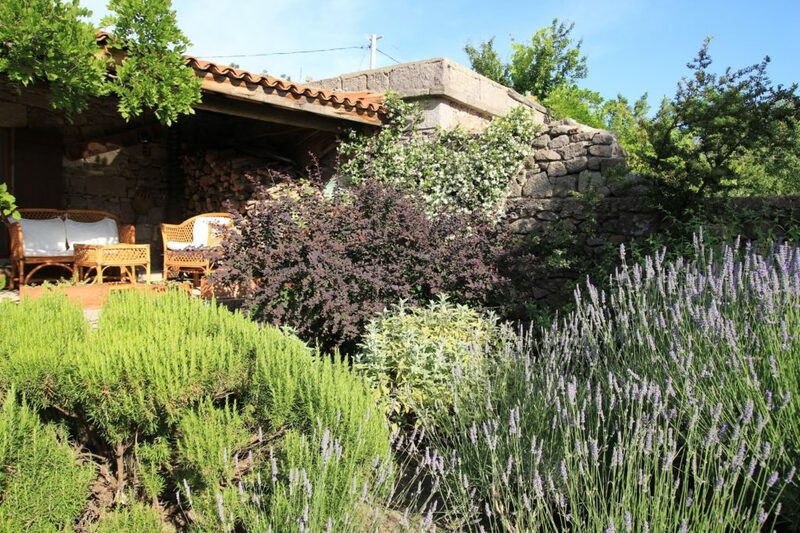 TT was in Assos (well-earned time-out away from the foot saga) where we have masses of the stuff in the garden so all it took was a phone call to secure my 1½ teaspoons-worth. Heat the oven to 170C/335F/gas mark 3. 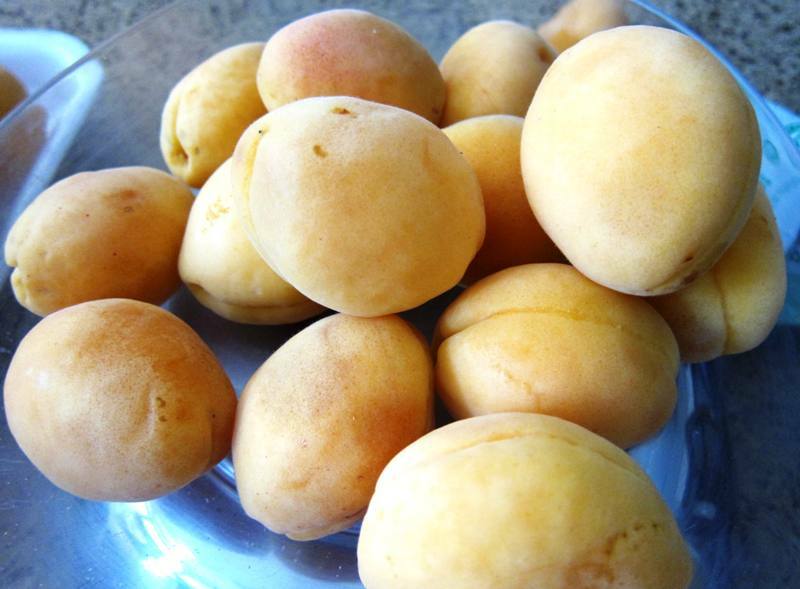 Put the butter, oil, sugar and almonds in the bowl of a mixer and beat on a medium-high speed until light and fluffy. 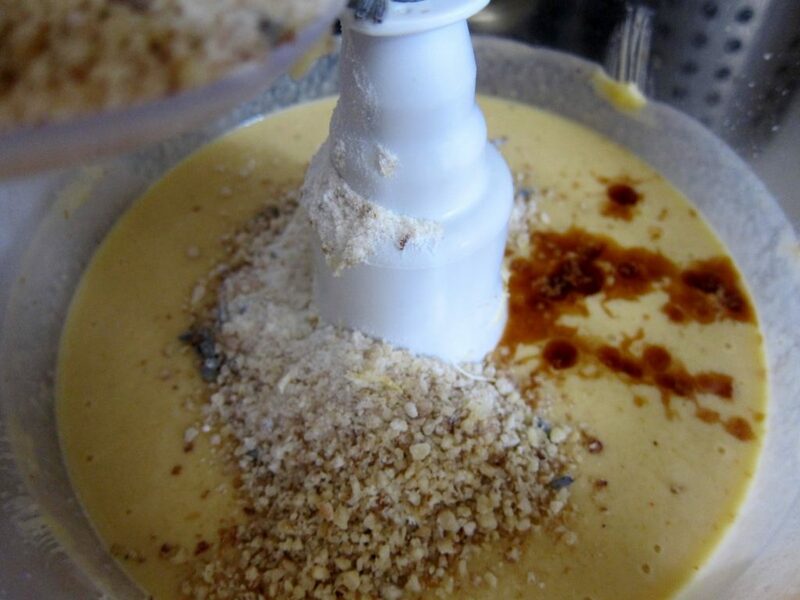 Add the eggs bit by bit, making sure each addition is well incorporated before beginning the next, then fold in the walnuts, flour, vanilla, lemon zest, a teaspoon of lavender flowers and an eighth of a teaspoon of salt. Line the base and sides (I only lined the base which I first greased with a little butter to ensure the paper stayed in place) of a 23cm/9” cake tin with greaseproof paper. Pour in the cake mix and use a palette knife to level it out. Arrange the apricot halves skin side down and slightly overlapping all over the top of the cake, taking them right to the edge. 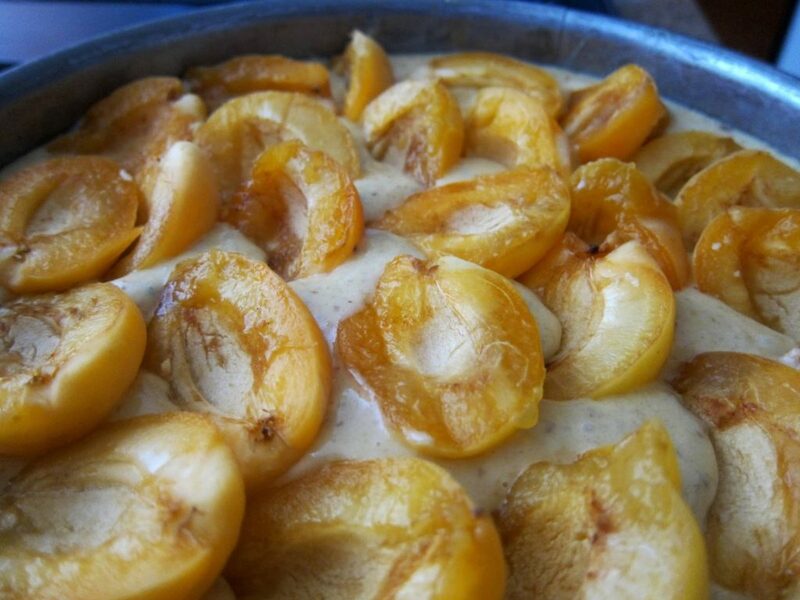 Bake for 70-80 minutes – cover with foil if the top starts to brown too much, also, note that when you insert a skewer to test for doneness, it will come out a little sticky because of all the moisture in the apricots. 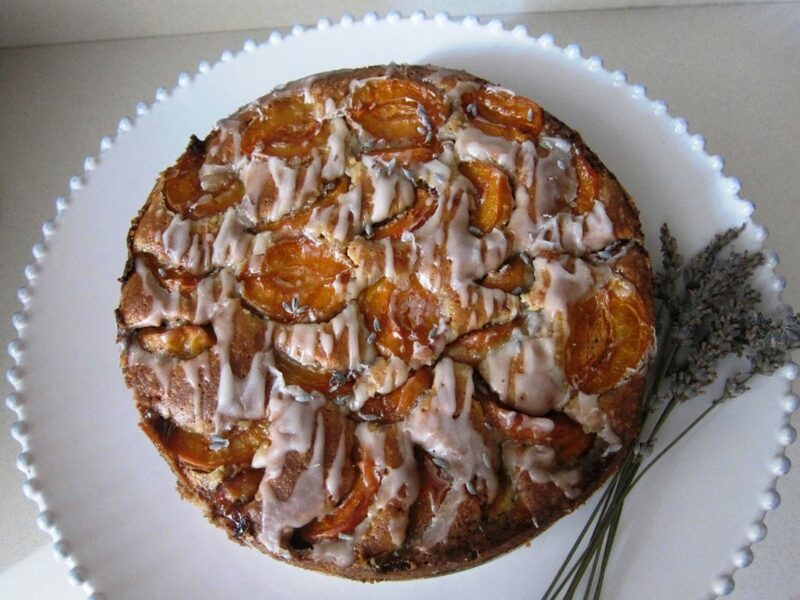 Here’s the cake: Ottolenghi’s apricot, walnut and lavender – very moist and definitely different! I sifted the icing sugar at the end just to avoid any nasty surprises with unsightly lumps in the drizzle. Be careful not to make it too runny. Also not runny enough won’t work! I gave my cake 80 mins. I also recommend waiting until the cake has had a good moment in which to relax and cool. 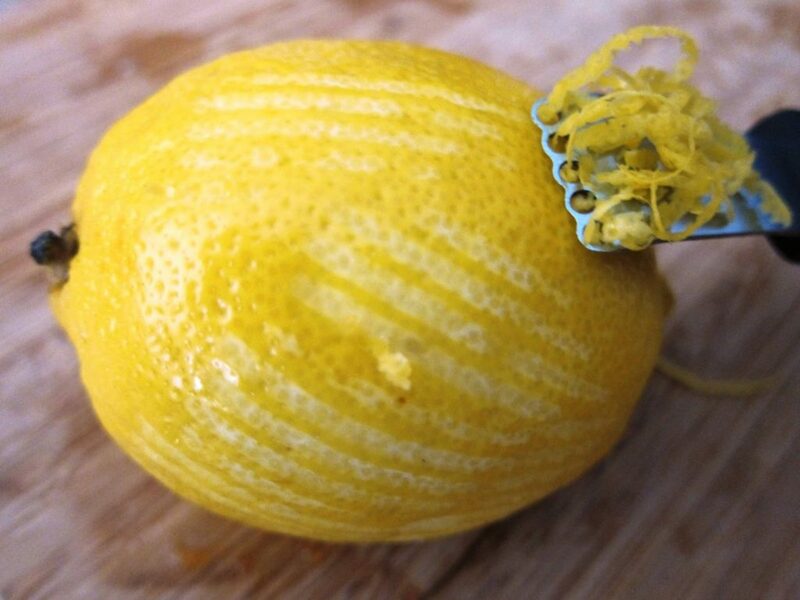 If you cut it too soon – as I did, because I had a lovely friend who popped round and we wanted something with our cuppa! – it’s just too soft and hasn’t had time ‘to come together’. I also think my eggs were too big. The recipe specifies medium but mine were definitely large. 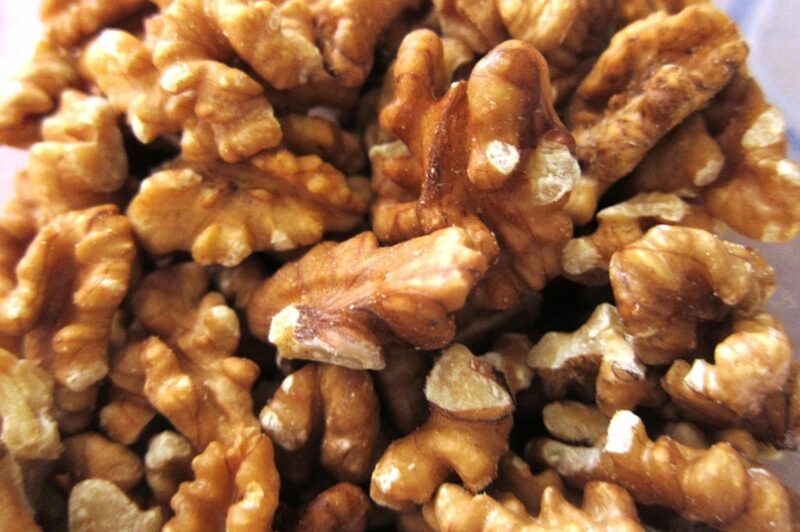 And who knows what the difference in sunflower oil and walnut oil is? In terms of how moist the mixture will be. This made a beautiful batter but I thought it could have cooked that bit better.